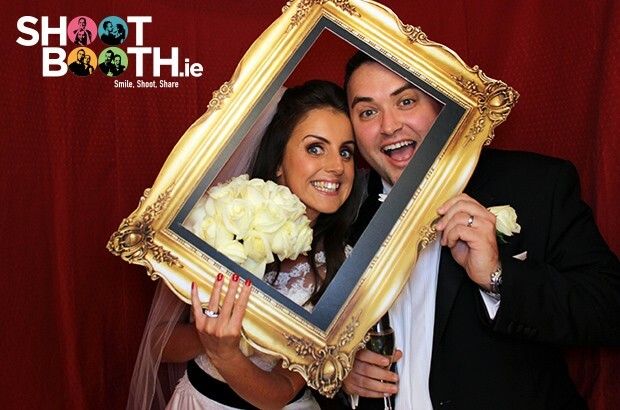 Shoot Booth is Ireland's leading supplier of professional photos booths and selfie mirrors for weddings. We have a large fleet of specially designed wedding booths that will fit perfectly into any venue and can accommodate up to 8 guests at once! 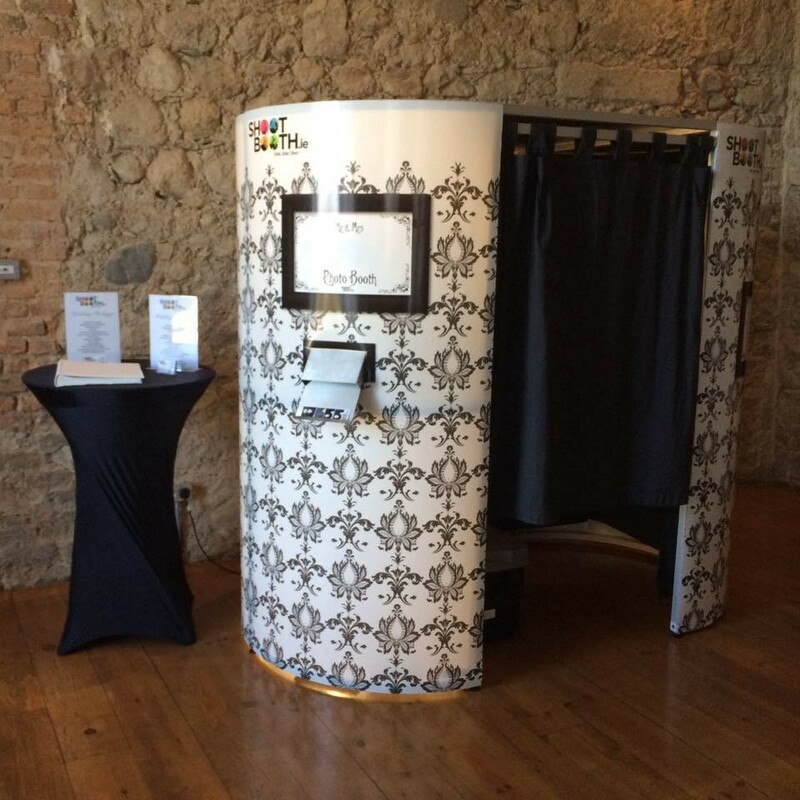 A photo booth is a 4 in 1 solution for any wedding; it serves as a great entertainment source, you get amazing photographs, guests receive their photos as party favours and the photo album serves as a unique guestbook. We provide a first class experience to all of our customers and ensure that we go above and beyond to meet the needs of even the most discerning bride. Compare us and you’ll see how far we stand out. We now have live online booking so visit our website to check availability and see prices for a Photo Booth or Selfie Mirror for your wedding. 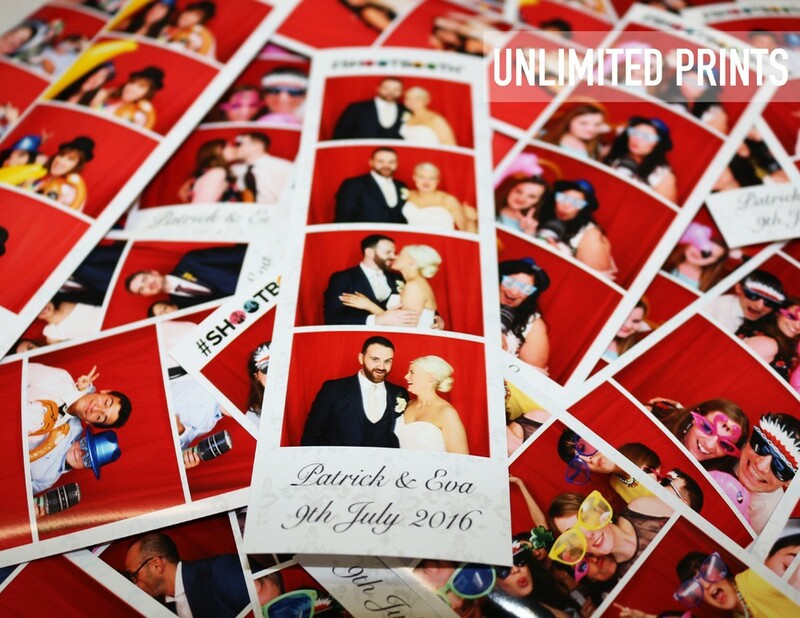 Shoot Booth is a professional Photo Booth supplier from Dublin servicing weddings throughout the local area including all towns and cities in Ireland. Shoot Booth is a Ireland's leading Photo Booth supplier that has been part of the PhotoBooth & Selfie Mirror industry since 2013 specialising in Weddings. Shootbooth were amazing to deal with. Saw them at my cousins wedding and was so impressed with the service that we decided to book them for our own wedding. The attendant on the night was brilliant. 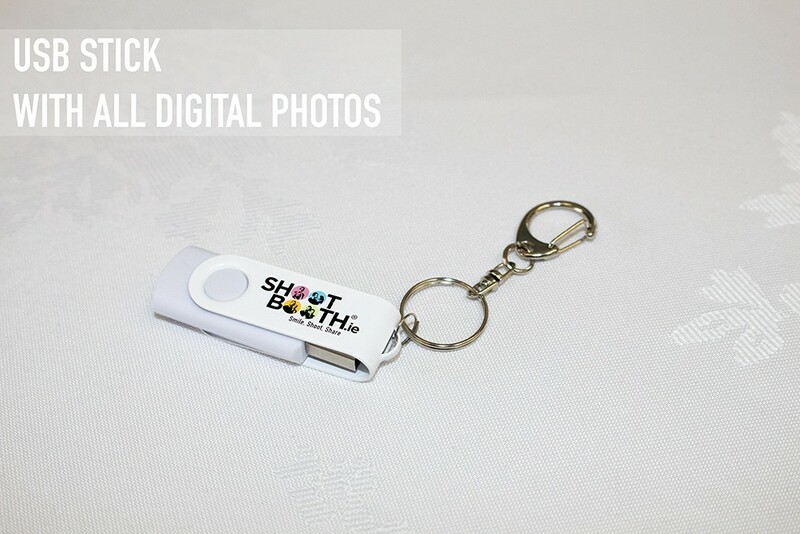 Absolutely love our album and usb of photos taken on the night. Would highly recommend. Hi Niamh, Thank you for your great review, we're delighted you enjoyed our service both as a guest and then as a customer! Congratulations to you both! Could not recommend shoot booth enough! We were so happy we booked them for our big day. 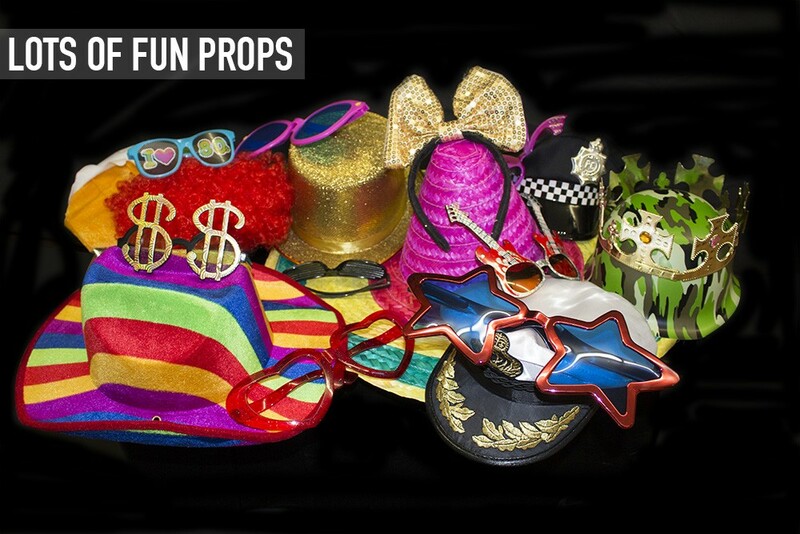 Plenty of fun props, great funny pictures to look back on all in HD. Any questions I had were responded to within half an hour of email max. Fantastic company and for the price you would be mad not to book for your wedding day. Thank you for your brilliant review, we really appreciate you taking the time to share your Shoot Booth experience with other wedding couples. From everyone here congratulations on your wedding, we wish you the very best for the future! I just loved having shootbooth at my wedding it was great fun and all the guests enjoyed it no matter the age. I loved receiving the book and been able to look at it the next morning was brilliant. I was delighted with the usb because I could print the pics after and for anyone who wanted one. The attendee was good fun and the were easy to work with. The answered all my emails and I would recommend them to all my friends and family . Hi Maggie, Thank you so much for your great review, we we're delighted to be able to celebrate with you and your guests and we're so glad you're enjoying your album and that you've already made use of the high res photos on the usb stick. Congratulations to both yourself and Patrick, we hope your photos and messages from your guests keep you entertained for years to come! We booked shotbooth as we only had a photographer during the day. I had great fun with all my guests especially the two 80 plus year olds that have never used it before! It was lovely to go back to the room in the evening and see that the album and usb stick were waiting! Some great pictures and I love that you get a usb stick too so you can print away. The attendees were great and happy to keep everyone snapping! Hi Elizabeth, congratulations to you both and thank you so much for having Shoot Booth at your big day. We're delighted to hear the wedding booth was a hit with all of your guests especially the two distinguished seniors. It just goes to show you're never too old to have some fun at a wedding! Thank you for your kind review, I'm very happy to hear your getting full use of the usb stick with the high res photos too! No fuss booking, easy to deal with. Friendly assistant on the night. 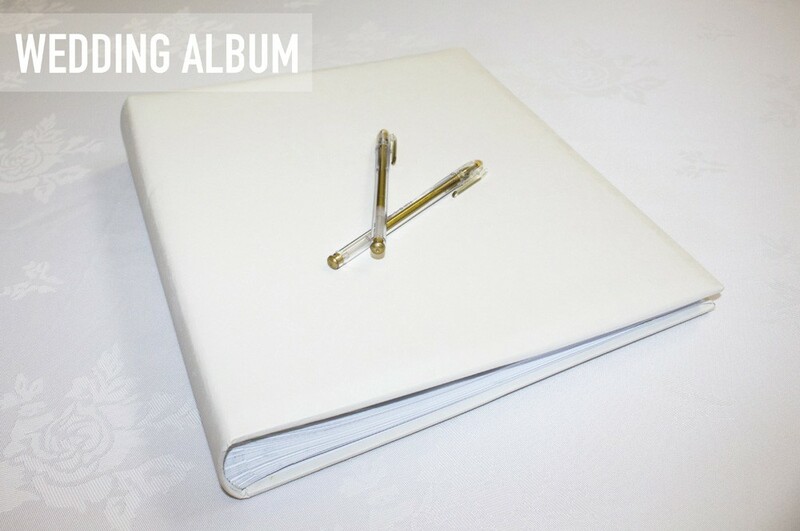 Lovely satin wedding album including messages from everyone alongside their pictures . Also comes with full digital copy of all pictures. Would recommend them to friends and family. Thank you both for your very kind review, we're delighted you enjoyed your wedding photo booth package. We wish you every happiness for the future. Shoot booth were fantastic to deal with! On time and very friendly attendant Eamonn was there on time and he joined in with the fun and was brilliant to deal with! Very happy we got the booth as it was a brilliant addition to our wedding! Thank you very much for taking the time to write a review, I'm delighted you enjoyed the photo booth. They were super professional and everybody had a lot of fun! Thank you for the great review Inka! Thanks for the great review Maggie & Noel! Fantastic service that we and our guests loved! Would highly recommend! Thank you for the great review Philip and Niamh. Thanks again for choosing Shoot Booth. We wish you both all the best! Thanks for the great review Richard. Thanks again for booking us! We would highly recommend Shoot booth, they provided such a great service! Ross was wonderful and really made everyone comfortable and encouraged them to use the booth, really getting into the spirit of things. He also encouraged people to sign the book which was so lovely to receive along with the USB stick the next day! It was worth every penny and gave us some very funny photos to look back on! Thank you so much for your lovely review Katharine & Jon. I will pass on your kind words to Ross. I'm delighted you enjoyed your Shoot Booth experience. Thanks again for your booking. Thank you for the lovely review Fiona. It was a pleasure working with you! Kevin did a great job. The only downside is that the photos in the album are quite small. Other than that we were very happy with it and our guests enjoyed it! Thanks for your review Caroline & Aiden, we will pass that on to Kevin. I'm glad all your guests enjoyed the photo booth! Ross was brilliant on the night - service was amazing! Guest book the next day was fantastic to look at. Great service - highly recommended! Thank you for your lovely review Angela. Thanks for choosing Shoot Booth! Jade in the office was an absolute pleasure to deal with & so helpful with any queries or questions. Didn't have to worry about the booth all night as the guy looking after it stayed with it the whole time. They even made sure the hubby & myself actually got into a photo for it! Definatley recommned Shoot Booth. Very professional from start to finish. Jade was very responsive and helpful with the initial booking. The booth looked fab and really added to the venue. All ages enjoyed getting photos. Thank you so much for taking the time to leave such a lovely review! This was one of the best investments we made for the wedding everyone loved it old and young and it was mentioned by many guests as being the most fun to get everyone together. Thank you so much Neasa and Richy for the lovely review. 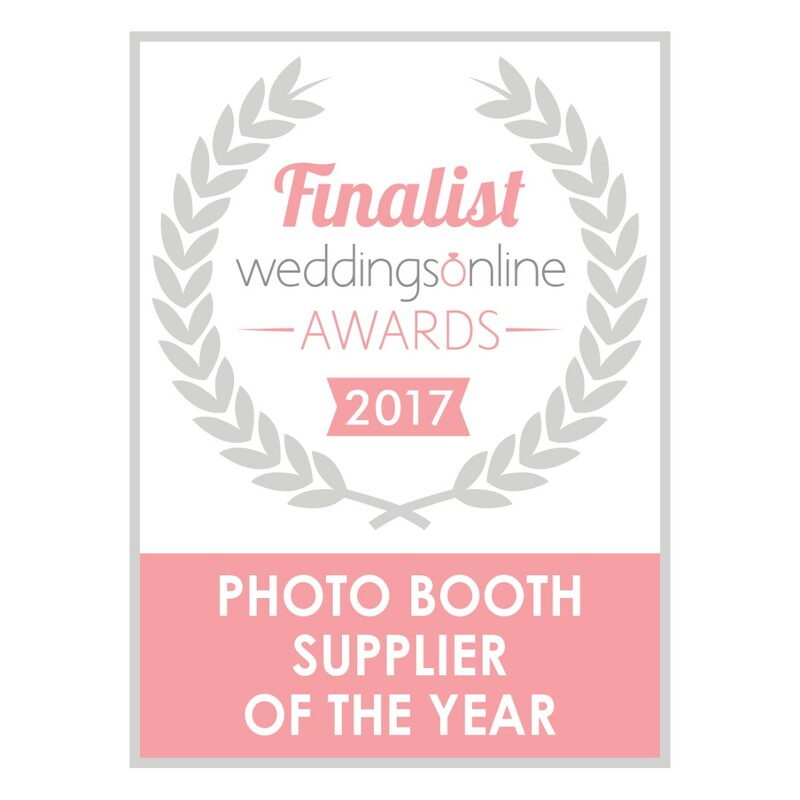 I'm delighted to hear everyone loved the photobooth! The guys here were so professional and on the ball when I had any queries, were quick with responses and met any requests I had ! The man in the day who was there to help was so so nice aswell ! Was great to have at my wedding! Thanks for the lovely review Claire, we really appreciate it! Plenty of fun would recommend ! The team arrived like ninja’s and set up without any disruption, to the wedding reception. Everyone loved it and some of them a little too much as we count get them out of the booth! We loved that everyone could take a copy of their photos' but also that they could add a copy ≤ave a note in an album for us, we had so much fun and looking through the album the next day it made us laugh so much :) definitely one of the best decisions we made & money well spent ! Thank you so much for the great review. I'm delighted it was a great hit on your Wedding day! This is a really great service and adds so much fun to any wedding day! Thank you for the lovely review Sharyn! Thank you David and Tara for the great review, we really appreciate it. The album really is great to look back on and really captures everyones personalities! We wish you both all the best in the future. Making sure that the booth is near enough to the reception room but not too far away is good. We had queues for the booth most of the night. Shoot booth was a fantastic part of our wedding! Everyone loved it and the photos were brilliant to look at on our honeymoon. 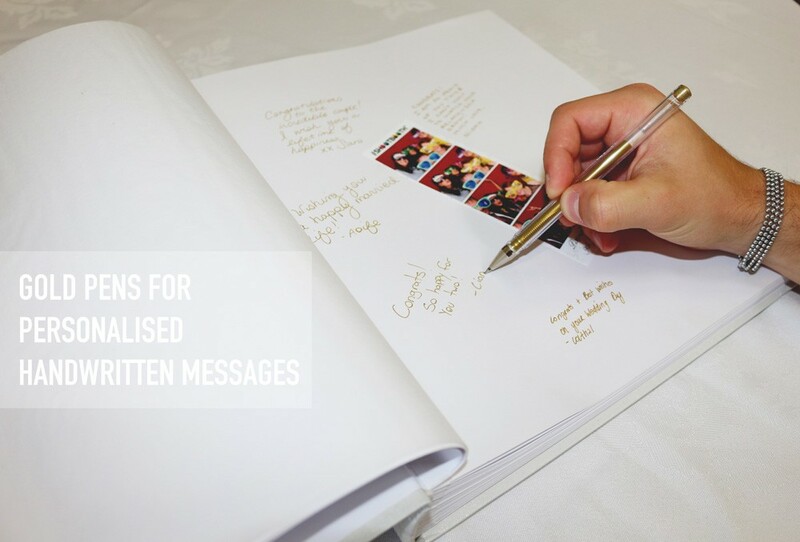 You get a photo album of all the photos which the guests can sign. The company is great to deal with and very professional. We would 100% recommend them! Thank you very much for the kind words. The photos and the album are a really lovely keepsake! Excellent service with very friendly and helpful staff. Thoroughly professional. Hi Keith, Thank you very much for leaving such a lovely review! What a fantastic addition to our wedding. All the guests got involved and we have some hilarious photos and memories to look back on now! Would absolutely recommend Shoot Booth for any wedding or party. Hi Mark & Hayley, Thank you so much for your lovely review! Hi Bernie, thank you so much for your kind and very special words! Hi Robert. Thank you for your kind review. Unfortunately with timings we couldn't stay and party the night away with you and all your guests! Amazing service for our wedding so professional, both my wife and I very impressed with everything from a quick, quiet set up to polite & helpful staff I would recommend to everyone! Great service. Hi Simon, thank you very much for reviewing Shoot Booth! I'm so happy you enjoyed our service. The booth was great, and the guy running it was brilliant! He was very professional and still great fun. Every guest loved this, even my 90yo+ grandparents! The photos were amazing. The only downside we saw here, was the extreemly small amount of time between shots. This allows more people to get photos done, but also means at least one of the 4 photos are just blurry people moving to change props. The USB of every photo individually, and every collection of four, is brilliant! Our guests went nuts for this when we uploaded them to Facebook. The guestbook was a great touch too. It's taken three months to get our profesional photos back, so this guestbook was great to bring around to family straight after the wedding. Hi Natalie and Aaron, Thank you for your glowing review. Yes, changing props in between photos is an advanced move but it really adds to the fun! 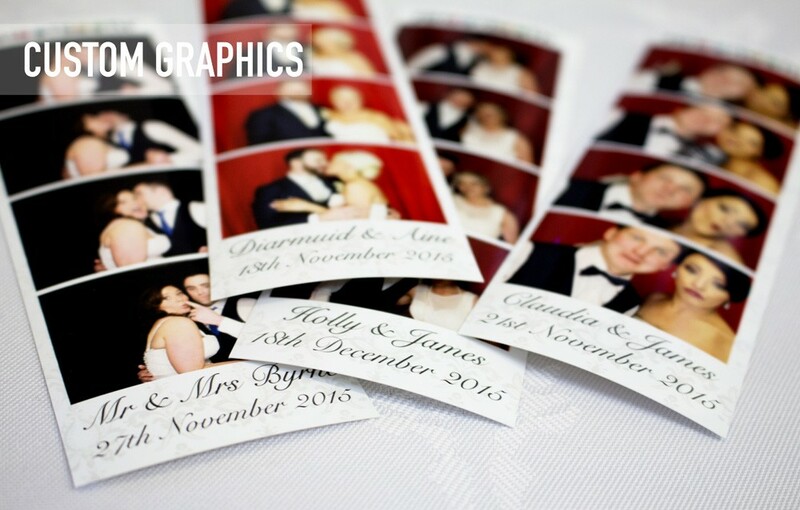 Shootbooth provided a fantastic service and who I would definitely recommend. For me I was looking for some form of entertainment other than a band that would get guests up off their seat that wasn't subjective to anyones age of ability. There wasn't one person sitting down for the night and had everyone either at the bar dancing or in the shoot both. The other important aspect of their work is the shootboth is manned to encourage people to take a copy of their pictures with them and write a message in an album with the other. We made a few props as our wedding was international (i.e. flags etc.) but they also have a great range of their own props. Hi Scott, Thank you so much for taking the time to write such a lovely review. It's always great to hear that the wedding guests loved the Shoot Booth as much as the bride and groom! Fantastic service. Great value for money. Staff on the night were so professional and full of fun. Every single guest commented on how wonderful Shoot Booth were. Thank you for your lovely review Kieran, i'm delighted all your guests commented on the Shoot Booth! So much fun was had by all at the wedding - thanks to Shoot Booth for being so patient and encouraging everyone to use the Booth. If I have only one complaint it is that I and my husband did not use the Booth more. We have great pics of family and friends who used it. A great addition to the wedding night! The staff member that night (Barry I think) was so patient and fun, he made it all look so easy! Hi Sabrina and Eoin, thank you so much for your lovely positive review. We wish you all the happiness in the world! Great service, very professional. Highlight was the photo album hilarious! Hi Tracy, Thank you very much for your review. The photo guestbook album really does capture everybody's personalities! Hi Eva, Thank you for your kind words, i'm delighted you were happy with your Shoot Booth experience. Really good service - everyone loved it at the wedding and the video and book that you get afterwards is great. great fun way to have more wedding photos!everyone raved about it and 2 other couples we know after us got it! Hi David and Elaine, Thank you very much for your lovely review. It is very much appreciated! Great company, always responded to any e-mails I sent promptly, the set up was hassle free, the attendants with the booth at our wedding reception were friendly and made sure everyone had fun and an album of pictures was already available for us the very next morning! Highly recommended! Thank you so much James and Aoife so your lovely review! We had Shoot Booth for our wedding on New Years Eve in Cork. We had them booked about two years out but our original venue burned down - but Shoot Booth could not have been more helpful. Straight away they worked with us to make sure we would have our booth - even though the two venues were quite a distance from each other. They supplied great props, the attendant was good fun and made all our guests feel at ease and our hard back album is fantastic. To top it all off they left a USB at reception for us. Cannot praise them enough. They really added to the evening. You won't go wrong with them, a really professional and personable service. Hi Ciara, Thank you for your positive review, We were delighted to accommodate yourself and Kevin when you had to move venue. Thank you for your booking and congratulations to you both! We had Shoot Booth booked for our wedding on New Years Eve 2015 from about 2 years out. Then in middle October our original venue burned down and we had to find a new one. To say that Shoot Booth were flexible and obliging doesn't do them justice. They were so kind and helpful. Even though the new venue was no where near the original one - they sorted it all out at no extra cost. On the day they were brilliant - booth set up well in advance, great props, the attendant was great craic and the photos were unreal. Our hardcopy book was a treat but the biggest treat was having the USB stick left for us in reception for the next day. Could not praise them enough. Helped make great memories for everyone. Hi Kevin, Thank you so much for your kind review. We're delighted to hear you enjoyed your wedding Shoot Booth and glad that we we're able to move things around to get to your new venue. Congratulations to you both on your wedding, what a great way to ring in the new year! We had these guy's for our wedding on the 24th of October 2015 and all of the guest loved it. They came and set up without any fuss, the guy that was working the booth for the night was really friendly and I got a gorgeous album of all my guests having an absolute ball getting their pictures taken . Would highly recommend. Hi Eimear, Thank you for your kind review! Hi Emma and Declan, thank you so much for your kind review. We wish you all the happiness in the world! Hi Ciara, Thank you so much for taking the time to write such a glowing review, we really appreciate it! Thanks Louise & Paul, We're delighted you enjoyed the booth! Shootbooth is amazing, it was one of the highlights of our wedding. The album with all the photos is so much fun! Everyone should have Shootbooth. I loved them so much I recommended them to a friend who got them for her wedding. Hi Maeve, Thank you so much for your amazing review. I'm so delighted that your Shoot Booth experience was such an enjoyable one! Hi Niall, I'm delighted you enjoyed the photo booth! It captures some great memories!